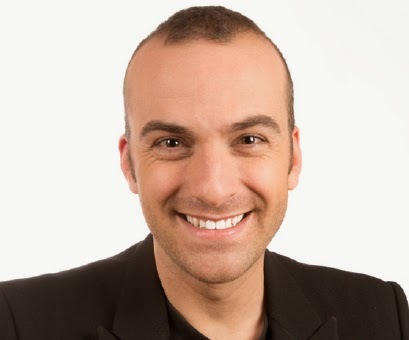 It's time to "cross the pond" and introduce the first airbrush makeup guru from Europe: Jordi Justribò from Cazcarra Image Group in Spain. 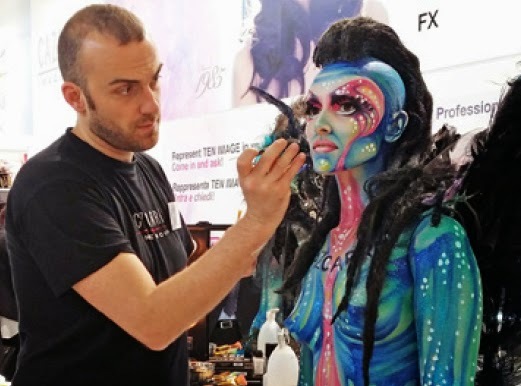 We haven't missed a single Cosmoprof show in the last few years, and as big as the event is (think 30 times the size of IMATS, comprising not just makeup, but any and all aspects of the beauty industry), one of the most vivid memories from each edition has been the work of Jordi Justribò, the Creative Director of Cazcarra Image group who is always present to create amazing makeup demonstrations right in front of the show's visitors. Cazcarra is one of Spain's biggest beauty groups. Founded 30 years ago by image guru Carmen Cazcarra, the group started as a family run beauty school and went on to become an image consulting firm producing the product lines Ten Image Professional and Makeup Secrets FX, offering an amazing array of quality products to both consumers and professionals. The Ten Image line includes a line of airbrush makeup of exceptional quality, with 11 water/silicone hybrid foundation shades and 30 more water based matte and shimmer colours. We will review those products soon, but for now let us get to know Jordì a little better! -What made you decide to become a makeup artist? I could say I was born with it: I was always fashinated by the art that allows you to change a face only thruough the harmonious application of makeup products. As I child I remember being spellbound as I watched the women in my family getting ready in front of the mirror, and I would try to create fantastic creatures on my own face. I think that these very memories are the reason why I became passionate about this art so early on. 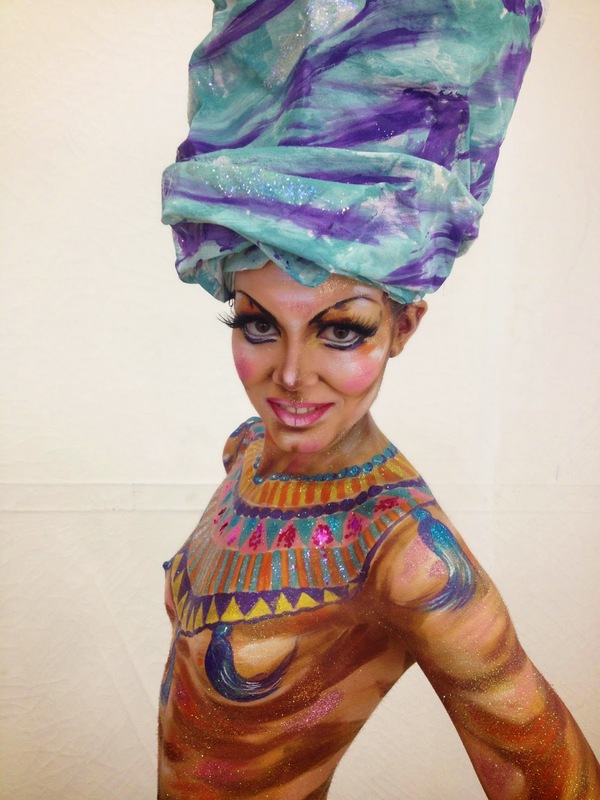 Makeup allowed me to find my aritstic expression. -Was your family supportive of your career choice, or did you have to struggle at first? To tell you the truth I was lucky enough to have my family's full support at every stage, especially my parents', to whom I will always be grateful for the confidence they had in me. Of course they had a few doubts when I told them what my chosen profession would be, because I was born in a very small town where a career in makeup could only look like a pipe dream. Those doubts vanished however when they got to know Cazcarra Image School, because at that point they realized that makeup can be a wonderful profession. -You went from graduating from the Cazcarra beauty School to becoming the Creative Director of the entire Cazcarra Image group. What is the most important quality that helped you achieve such a remarkable goal? When I finished my training at Cazcarra Image School, just like any of its graduates I was faced with a wide array of professional options. To be honest though ever since the beginning of my training I had felt that a very strong bond would tie me to this institution. When Carmen Cazcarra, the founder and soul of this great family, asked me to be a part of the team, I did not hesitate for a second. To me it was very important to be able to grow artistically and to put all my skills to the test, showing how effective my training had been. Of course I could not pass the chance to continue learning with Carmen and her team. I will always be grateful to her for guiding me in my professional growth and for teaching me how to move with confidence in this industry. -We have tried the Ten Image airbrush products and we find them truly outstanding. How much input did you have in the actual formulation or colour choice of the makeup line? As a professional makeup artist belonging to the Cazcarra/Ten Image team, I give the utmost importance to the products I use in my job. That is why I invest a lot of time in each new product before it is released to make sure that it performs to professional standards, consistently yielding great results. Besides testing extensively and suggesting improvements, I keep close contacts with the manufacturing department at Ten Image to ensure that technology, quality and artistic potential proceed hand in hand to create the latest generation of products. Naturally, if I feel that a certain product fails to meet our standards I do not allow it to become a part of the Ten Image line. -In the USA and UK airbrushing has become mandatory in the curriculum of accredited beauty schools. How important do you think it is for a makeup artist to be able to airbrush nowadays? Nowadays every makeup artist should know how to use an airbrush, because airbrushing is a technique that allows us to work with the latest visual technologies, such as HD and Full HD, yet at the same time it can be used for beauty makeup every day. Many working professionals come back to Cazcarra Image School specifically to learn this technique that we have been developing and perfecting for years. -What is the best aspect of airbrushing makeup for you, and what is the biggest common misunderstanding regarding this technique? Airbrushing allows you to obtain results that would be impossible with traditional makeup, thanks to the speed of the execution and the durability of the application. The most common mistakes are the excessive use of product, and the layering of thick passes creating an unnatural result. -You have worked with many celebrities in your career. Do you have a favourite anecdote or a fun fact that you could share with us? Among the many events that Cazcarra was involved in we were the official makeup artists for the Starlite Festival, an event that features many big national and international music stars. I had the pleasure of working with many celebrities, and I especially remember Antonio Banderas and Melanie Griffith. At the beginning it was a bit shocking to find myself in the presence of two big Hollywood stars, however as the work progressed I realized that they were trusting me more and more, and soon they began making me a part of their conversations almost as if I were a family member. A makeup artist often has the chance to work with famous personalities from fashion, music, arts or politics, and in most cases they end up making you privy to confidential matters. That is why we have to learn how to be discreet and to respect the privacy of our clients. -Your work has meant a lot of travel. Do you find it difficult balancing your personal and professional life? If you could magically change an aspect of it what would it be? The thing is, I have so much fun with my job that finding a balance is not too hard at all. Working with Cazcarra/Ten Image allows me to develop my work and to show it all over the world, and this is extremely gratifying. Travelling is a great way to get to know trends and products from other countries in person, and to exchange views with experts from many different places. I don't think I would change anything... both the nice and the negative things that happened to me made me what I am today. This job gave me the chance to experience so many things on both a professional and a personal level, and I wouldn't change any of them. -What is our future career goal? Where do you see yourself in a few years? I hope to be able to continue to grow with Cazcarra/Ten Image, because it is a company that allowed me to grow and constantly improve, remaining up to date with all the current trends and products. I have spent many years with this company as Creative Director, and I want to face new challenges and reach new goals with them. I would also like to develop new products of ever increasing quality, that may allow professionals to execute their tasks safely and confidently, creating spectacular results. 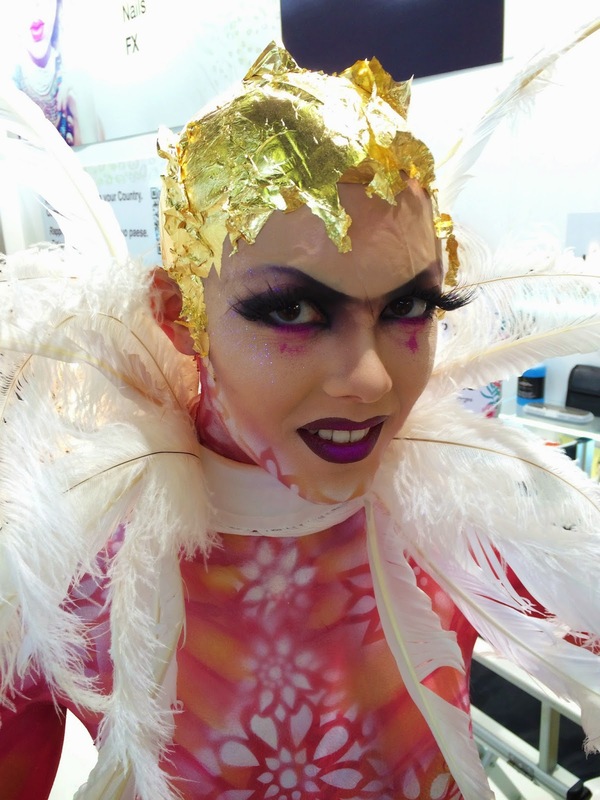 We look forward to meeting Jordi again in person at Cosmoprof 2015, and to visit the Cazcarra stand and watch him create one of his makeup masterpieces!